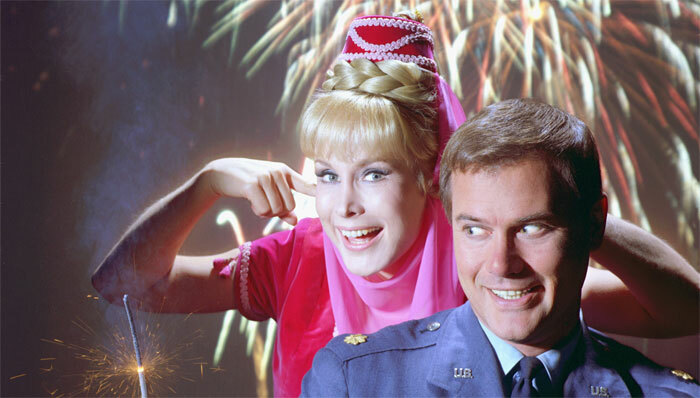 I Dream of Jeannie is an American sitcom starring Barbara Eden as a 2,000-year-old genie, and Larry Hagman as an astronaut who becomes her master, with whom she falls in love and whom she eventually marries. Produced by Screen Gems, the show originally aired from September 1965 to May 1970, for five seasons, and produced 139 episodes. The first season consisted of 30 episodes filmed in black and white. The series was created and produced by Sidney Sheldon in response to the great success of rival network ABC's Bewitched series, which had debuted in 1964 as the second most watched program in the United States. 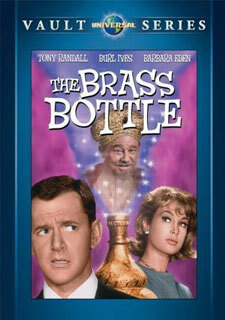 Sheldon, inspired by the movie The Brass Bottle, which had starred Tony Randall, Barbara Eden, and Burl Ives as the genie Fakrash, came up with the idea for a beautiful female genie. 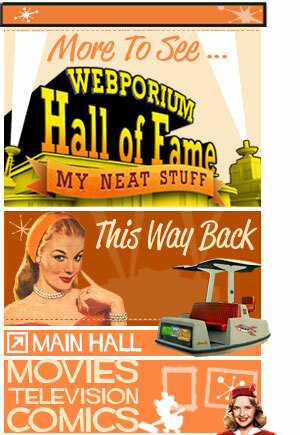 Both I Dream of Jeannie and Bewitched were Screen Gems productions. The show debuted at 8:00 p.m., on Saturday, September 18th, 1965, on NBC. When casting was opened for the role of Jeannie, producer Sidney Sheldon could not find an actress who could play the role the way that he had written it. He did have one specific rule: He did not want a blonde genie because there would be too much similarity with the blonde witch on Bewitched. However, after many unsuccessful auditions, he called Barbara Eden's agent. When NBC began telecasting most of its prime time television programs in color in fall 1965, Jeannie was one of two regular programs on NBC that remained in black and white, in this case because of the special photographic effects employed to achieve Jeannie's magic. By the second season, however, further work had been done on techniques to create the visual effects in color, necessary because by 1966 all US prime time series were being made in color. According to Dreaming of Jeannie, a book by Stephen Cox and Howard Frank, Sheldon originally wanted to film season one in color, but NBC did not want to pay for the extra expenses, as the network (and Screen Gems) believed the series would not make it to a second season. According to Sheldon in his autobiography The Other Side of Me, he offered to pay the extra US$400 an episode needed for color filming at the beginning of the series, but Screen Gems executive Jerry Hyams advised him: "Sidney, don't throw your money away." When reruns debuted on New York's WPIX, Jeannie won its time period with a 13 rating and a 23 share of the audience. The series averaged a 14 share and 32 share of the audience when WTTG in Washington, D.C. began airing the series. 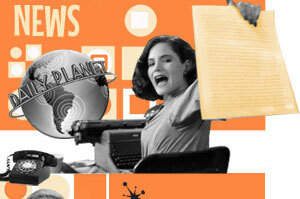 It was the first off-network series to best network competition in the ratings: "The big switch no doubt representing the first time in rating history that indies (local stations) have knocked over the network stations in a primetime slot was promoted by WPIX's premiere of the off-web Jeannie reruns back to back from 7 to 8 p.m."
How do you link Jeannie to both the Three Stooges and Star Wars? 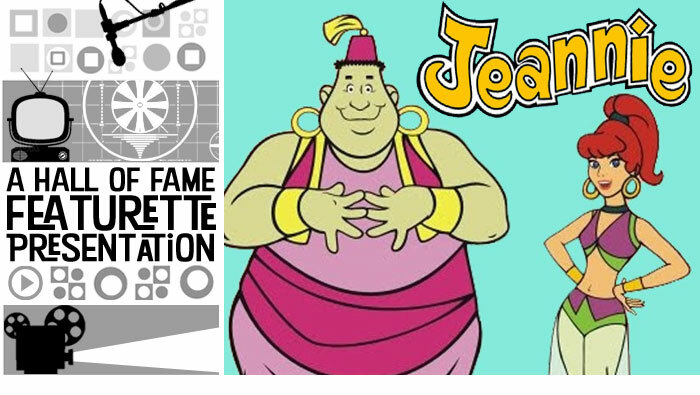 Hanna-Barbera Productions produced an animated series Jeannie from September 1973 to 1975, which featured Jeannie (voiced by Julie McWhirter) and genie-in-training Babu (voiced by former Three Stooges star Joe Besser) as the servants of Corey Anders, a high-school student (voiced by Mark Hamill, before he played Luke Skywalker in Star Wars.). The intro to the Hanna-Barbara Jeannie cartoon from the 70's, based on the live-action sitcom, "I Dream of Jeannie" starring the voice work of Julie McWhirter, former Three Stooges star Joe Besser and future Star Wars star Mark Hamill. And yes, that is Mark Hamill singing the theme song. The force is stong in this one? They cannot understand each other until Tony expresses his wish that Jeannie (a homophone of genie) could speak English, which she then does. Then, per his instructions, she "blinks" and causes a recovery helicopter to show up to rescue Tony, who is so grateful that he tells her she is free. But Jeannie, who has fallen in love with Tony at first sight after being trapped for 2,000 years, re-enters her bottle and rolls it into Tony's duffel bag so she can accompany him back home. One of the first things Jeannie does, in a subsequent episode, is break up Tony's engagement to his commanding general's daughter, who, along with that particular general, is never seen again. This event reflects producer Sidney Sheldon's decision that the engagement depicted in the pilot episode would not be part of the series continuity; he realized the romantic triangle he created between Jeannie, "Master", and Melissa Stone wouldn't pan out in the long run. Tony at first keeps Jeannie in her bottle most of the time; but, he finally relents and allows her to enjoy a life of her own. However, her life is devoted mostly to his, and most of their problems stem from her love and affection towards Tony, and her desire to please him and fulfill her ancient heritage as a genie, especially when he doesn't want her to do so. 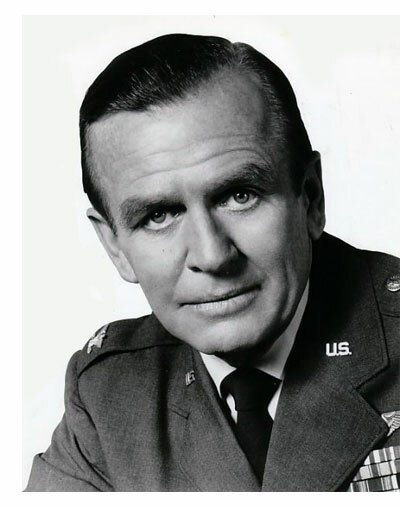 His efforts to cover up Jeannie's antics, because of his fear that he would be dismissed from the space program if her existence were known, brings him to the attention of NASA's resident psychiatrist, US Air Force Colonel Dr. Alfred Bellows (Hayden Rorke below right). In a running gag, Dr. Bellows tries over and over to prove to his superiors that Tony is either crazy or hiding something, but he is always foiled ("He's done it to me, again!") and Tony's job remains secure. A frequently used plot device is that Jeannie loses her powers when she is confined in a closed space. She is unable to leave her bottle when it is corked; and, under certain circumstances, the person who removed the cork would become her new master. A multi-episode story arc involves Jeannie (in miniature) becoming trapped in a safe when it is accidentally locked. 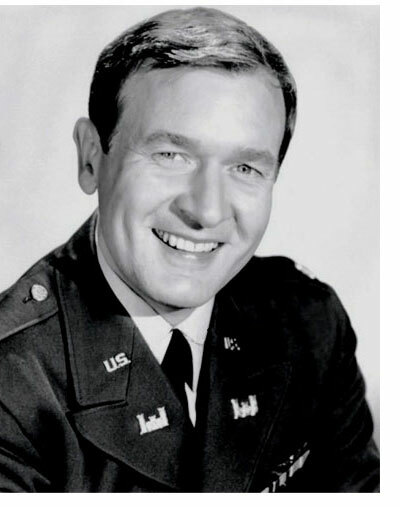 Tony's best friend and fellow astronaut, US Army Corps of Engineers Captain Roger Healey, (Bill Daily) does not know about Jeannie for several episodes; when he finds out (in the episode "The Richest Astronaut in the Whole Wide World", January 15th, 1966), he steals her so he can live in luxury, but not for long before Tony reclaims his status as Jeannie's master. Roger is often shown to trying make a quick buck or girl-crazy, and hopes to claim Jeannie so he can use her to live a princely life or gain beautiful girlfriends, but overall he is respectful that Tony is Jeannie's master, and later her husband. Both Tony and Roger are promoted to the rank of major late in the first season. In later seasons, Roger's role is retconned in that he knew about Jeannie from the beginning as he was with Tony on the space flight that touched down, and thus saw Jeannie introduce herself to Tony. Daily (left) would continue in his "aviation career" later playing a commercial airline navigator Howard Borden on The Bob Newhart Show. On The Bob Newhart Show 19th Anniversary in 1991 the characters analyzed one of Bob's dreams. The dream that was the 1990 surprise finale of Newhart where Bob Newhart and Suzanne Pleshette reprised their roles, waking up in their Chicago apartment bedroom and revealing that the entire Newhart series had been just Bob Hartley's dream. At one point Howard recalled, "I had a dream like that once. I dreamed I was an astronaut in Florida for five years," as scenes from I Dream of Jeannie featuring Bill Daily as Roger Healey were shown. 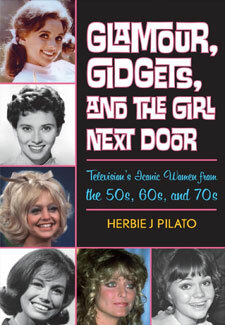 Jeannie's sister, mentioned in a second-season episode (also named Jeannie and also portrayed by Barbara Eden (in a brunette wig), proves to have a mean streak starting in the third season (demonstrated in her initial appearance in "Jeannie or the Tiger?" September 19th, 1967), repeatedly trying to steal Tony for herself, with her as the real "master". Her final attempt in the series comes right after Tony and Jeannie get married, with a ploy involving a man played by Barbara Eden's real-life husband at the time, Michael Ansara (in a kind of in-joke, while Jeannie's sister pretends to be attracted to him, she privately scoffs at him). Jeannie's sister wears a green costume, with a skirt rather than pantaloons. Early in the fifth season (September 30th, 1969), Jeannie is called upon by her Uncle Sully (Jackie Coogan) to become queen of their family's native country, Basenji. After Jeannie is gone, Tony realizes how deeply he loves her and he flies to Basenji to win Jeannie back. Upon their return to NASA, Tony introduces Jeannie as his fiancée, in which she attires herself as a modern American woman in public and it is easily accepted as Tony's new girlfriend. This changed the show's premise in that instead of the avoidiance of Jeannie's exposure, it was to hide her magical abilities. This is contrary to the mythology created by Sidney Sheldon's own season two script for "The Birds and Bees Bit", in which it was claimed that, upon marriage, a genie loses all of her magical powers. 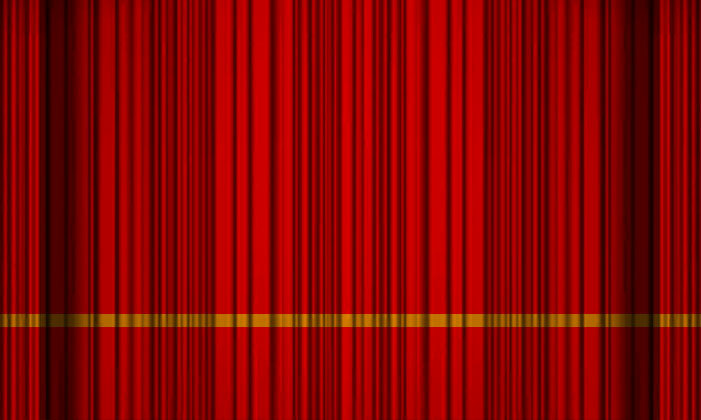 On several occasions, multi-part story arcs were created to serve as backgrounds for national contests. During the second season, in a story that is the focus of a two-part episode and a peripheral plot of two further episodes (the "Guess Jeannie's Birthday" contest began with the opening two-part episode on November 14th, 1966, concluding with the name of the winner revealed after the end of the fourth episode, "My Master, the Great Caruso", on December 5th), it was established that Jeannie did not know her birthday, and her family members could not agree when it was, either. Tony and Roger use NASA's powerful new computer and horoscopic guidance based on Jeannie's traits to calculate it. The year is quickly established as 64 BC, but only Roger is privy to the exact date and he decides to make a game out of revealing it. This date became the basis of the contest. Jeannie finally forces it out of him at the end of the fourth episode: April 1st. This date conflicts with the birthday given to her in the Season 1 episode "G.I. Jeannie": July 1st. In a third-season four-part episode ("Genie, Genie, Who's Got the Genie?" - January 16th  February 6th, 1968), Jeannie is locked in a safe bound for the moon. Any attempt to force the safe or use the wrong combination will destroy it with an explosive. Jeannie is in there so long that whoever opens the safe will become her master. The episodes spread out over four weeks, during which a contest was held to guess the safe's combination. This explains why Larry Hagman is never seen saying the combination out loud: His mouth is hidden behind the safe or the shot is on Jeannie when he says it. The combination was not decided until just before the episode aired, with Hagman's voice dubbed in. 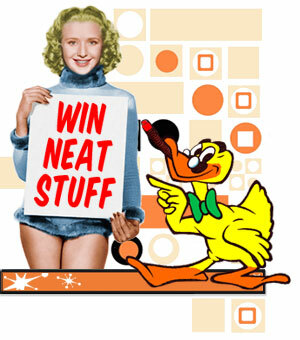 Over the closing credits, Barbara Eden announced and congratulated the contest winner, with 497 as the winning combination. In the fourth season, a two-part episode, "The Case Of My Vanishing Master" (January 6th13th, 1969), concerned Tony being taken to a secret location somewhere in the world, while a perfect double took his place at home. A contest was held to guess the location to which Tony had been taken. Unlike earlier contests, the answer was not revealed within the story. At the end of "Invisible House For Sale" (February 3rd, 1969), there was a special "contest epilogue" where Jeannie and Tony revealed to the audience the "secret location", Puerto Rico, followed by the name of the "Grand Prize Winner". Although the series was set in and around Cape Kennedy, Florida, and Nelson lived at 1020 Palm Drive in nearby Cocoa Beach, locales in California were used in place of those in Florida. The exterior of the building where he and Healey had offices was actually the main building at the Dryden Flight Research Center at Edwards Air Force Base, north of Los Angeles. Many of the exterior shots of Tony's home or other areas show mountains or hills in the background. 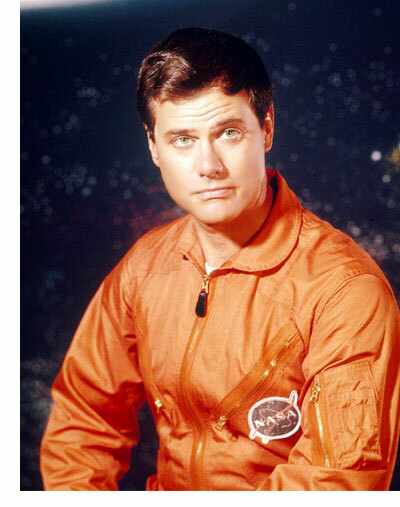 The actual respective terrains of Florida and southeast Texas  where the real-life astronauts of that time lived and trained  are flat (especially the areas around Cape Kennedy and Cocoa Beach where the Nelsons were shown to have lived in the sitcom). 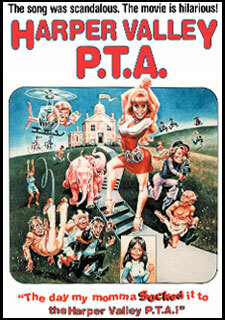 In actuality, the home of Maj. Nelson was filmed at the Warner Ranch, in Burbank (on Blondie Street). Many exteriors were filmed at this facility. Interior filming was done at the Sunset Gower Studios in Hollywood. NASA astronauts did not live in Florida at the time of the series. Since 1962, they lived and trained at the Manned Spacecraft Center (now Johnson Space Center) in Houston. 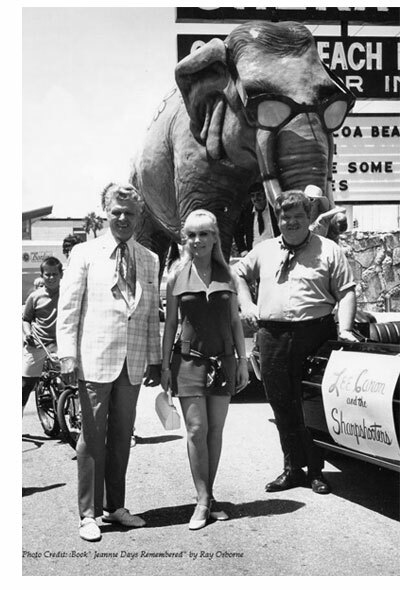 The cast and crew only made two visits to Florida's Space Coast, both in 1969. On June 27th, a parade in Cocoa Beach escorted Eden and the rest of the cast to Cocoa Beach City Hall, where she was greeted by fans and city officials. They were then taken to LC-43 at Cape Canaveral where she pressed a button to launch a Loki-Dart weather rocket. They had dinner at Bernard's Surf, where Eden was given the state of Florida's Commodore Award for outstanding acting. Later the entourage went to Lee Caron's Carnival Club where Eden was showered with gifts and kissed astronaut Buzz Aldrin on the cheek, just two weeks before the Apollo 11 launch. The cast and crew returned on November 25th, 1969 for three days for a mock wedding of Eden and Hagman staged for television writers from around the nation (timed to the airing of the nuptials episode on December 2nd) at the Patrick Air Force Base Officers Club. Florida Governor Claude Kirk attended and cut the cake for the couple. Eden returned 27 years later, in July 1996, as a featured speaker for Space Days at the Kennedy Space Center. Cocoa Beach Mayor Joe Morgan presented her an "I Dream of Jeannie Lane" street sign, later installed on a short street off A1A near Lori Wilson Park. 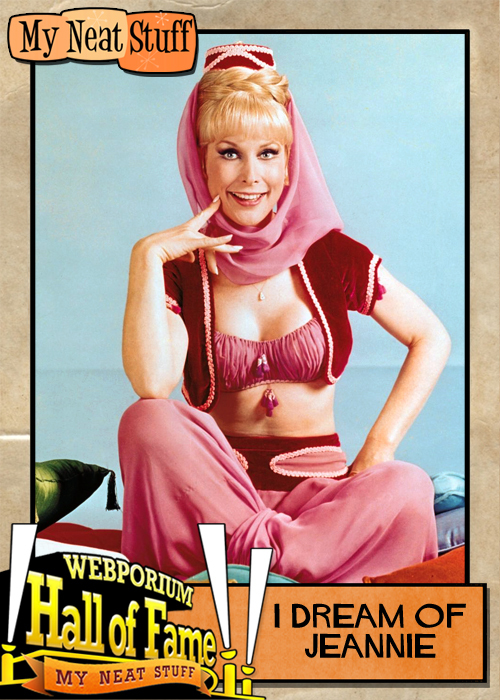 On September 15th, 2005, the area held a "We Dream of Jeannie" festival, including a Jeannie lookalike contest. 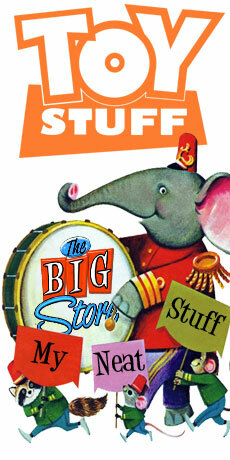 There had been plans for one in 2004, but it was interrupted by Hurricane Frances and Hurricane Jeanne. However, a Jeannie lookalike contest was held in 2004, with Bill Daily attending. On August 24th, 2012, Cocoa Beach City leaders honored the show with a roadside plaque outside Lori Wilson Park. The first season theme music was an instrumental jazz waltz written by Richard Wess. Eventually, Sidney Sheldon became dissatisfied with Wess' theme and musical score. From the second season on, it was replaced by a new theme entitled "Jeannie", composed by Hugo Montenegro with lyrics by Buddy Kaye. Episode 20 and 25 used a re-recorded ending of "Jeannie" for the closing credits with new, longer drum breaks and a different closing riff. The lyrics were never used in the show. Songwriters Gerry Goffin and Carole King wrote a theme, called "Jeannie", for Sidney Sheldon before the series started, but it was not used. In the third and fourth season of the show, another instrumental theme by Hugo Montenegro was introduced that was played during the show's campy scenes. Simply titled "Mischief", the theme would be heard mainly on outdoor locations, showing the characters attempting to do something such as Jeannie learning to drive, Major Nelson arriving up the driveway, a monkey walking around, or reactions to Doctor Bellows. This theme featured the accompaniment of a sideshow organ, a trombone, and electric bass. 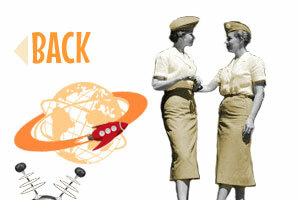 It was introduced in the first episode of season 3, "Fly Me to the Moon". The first few episodes after the pilot (episodes two through eight) used a non-animated, expository opening narrated by Paul Frees; the narration mentions that Nelson lived in "a mythical town" named Cocoa Beach in "a mythical state called Florida". The remaining episodes of that first season featured an animated sequence that was redone and expanded in season two, when the show switched from black and white to color. This new sequence, used from season 2-5, featured Captain Nelson's space capsule splashing down on the beach, and Jeannie dancing out of her bottle (modified to reflect its new decoration) and then kissing Nelson. Both original versions of the show's animated opening sequence were done by famed animator Friz Freleng. In the first season, it is made clear that Jeannie was originally a human who was turned into a genie by (as later revealed) the Blue Djinn when she refused to marry him (the term "Djinn" is synonymous with "genie"). 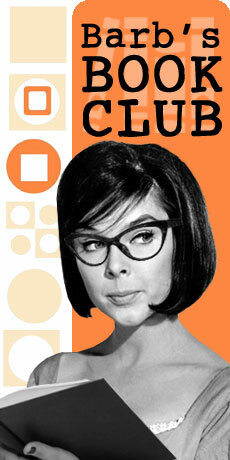 Several members of Jeannie's family, including her parents, are rather eccentric, but none are genies. Her mother describes the family as "just peasants from the old country". 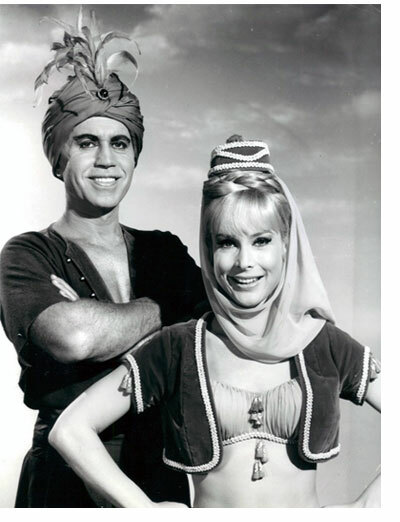 The Blue Djinn was played by Barbara Eden's first husband, Michael Ansara (below left). In later seasons, he also played King Kamehameha and Biff Jellico. Michael Ansara also played Commander Kang on three versions of Star Trek. He originated the role in the Day of the Dove episode in 1968 and reprised the role on the Deep Space Nine episode Blood Oath in 1994 and the Voyager episode Flashback from 1996. The topic of Jeannie originally being human is restated in season two during the episode, "How to be a Genie in 10 Easy Lessons". Jeannie mentions that she has a sister who is a genie, but the phrasing  "she was a genie when I left Baghdad"  does bring up the question of whether she too was born a genie. 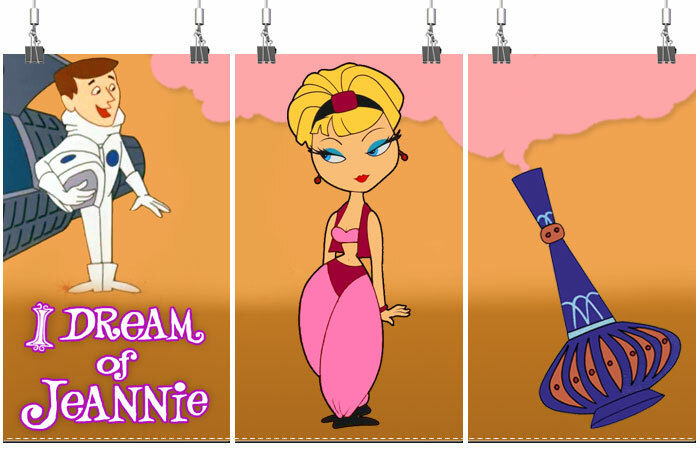 In the third season, this continuity was changed retroactively and it was assumed that Jeannie has always been a genie. 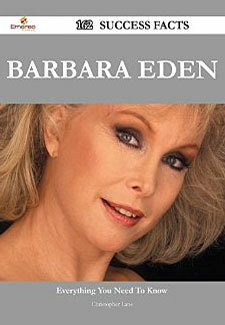 All her relatives are then also genies, including, by the fourth season, her mother (also played by Barbara Eden). This may have been done to increase the similarity with Bewitched, or simply to increase the number of possible plotlines. Whatever the reason, this new concept was retained for the rest of the series. In a 1966 paperback novel published by Pocket Books, very loosely based on the series, it was established in the story that Jeannie (in the book, her real name is revealed as "Fawzia") and her immediate family were genies living in Tehran hundreds of years before Tony found her bottle on an island in the Persian Gulf (instead of the South Pacific, as depicted on TV). Jeannie's famous bottle was not created for the show. The actual bottle was a special Christmas 1964 Jim Beam liquor decanter containing "Beam's Choice" bourbon whiskey. It was designed by Roy Kramer for the Wheaton Bottle Company. For years, it was said that Sidney Sheldon received one as a gift and thought it would be a perfect design for the series. Several people in the Screen Gems art department also take credit for finding the bottle. There is strong evidence, however, that it was first season director Gene Nelson who saw one in a liquor store and bought it, bringing it to Sidney Sheldon. Jeannie's bottle was left its original dark, smoke-green color, with a painted gold leaf pattern (to make it look like an antique), during the first season. The plot description of the pilot episode in TV Guide in September 1965 referred to it as a "green bottle". In that first episode, it also looked quite rough and weathered. Since the show was originally filmed in black and white, a lot of colors and patterns were not necessary. When the show switched to color, the show's Art Director came up with a brightly colored purple bottle to replace the original. The colorized version of the show's first season try to make out that the smoked glass look of the original gold leaf design is in fact purple, to match the consistent look of the bottle used in the second through fifth seasons. During the first season, in black and white, the smoke effect was usually a screen overlay of billowing smoke, sometimes combined with animation. Early color episodes used a purely animated smoke effect. Sometime later a live smoke pack, lifted out of the bottle on a wire, was used. Jeannie's color-episodes bottle was painted mainly in pinks and purples, while the bottle for the Blue Djinn was a first-season design with a heavy green wash; and Jeannie's sister's bottle was simply a plain, unpainted Jim Beam bottle. No one knows exactly how many bottles were used during the show, but members of the production have estimated that twelve bottles were painted and used during the run of the series. 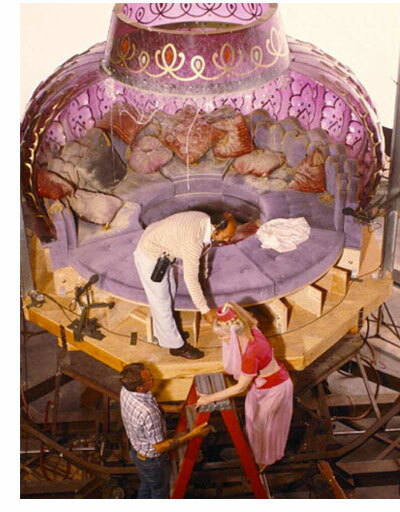 The stunt bottle used mostly for the smoke effect was broken frequently by the heat and chemicals used to produce Jeannie's smoke. In the pilot episode, several bottles were used for the opening scene on the beach; one was drilled through the bottom for smoke, and another was used to walk across the sand and slip into Tony's pack. Two bottles were used from promotional tours to kick off the first season, and one bottle was used for the first-season production. 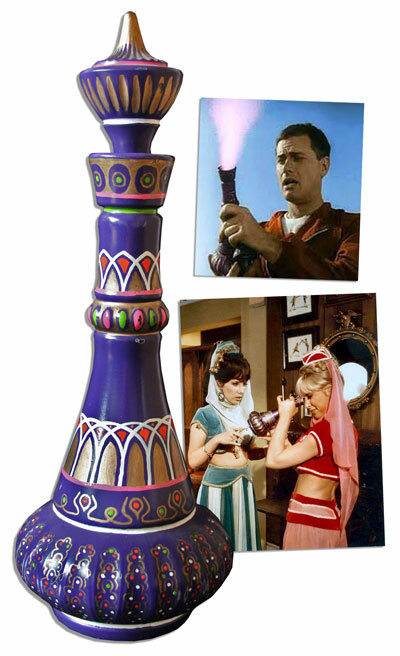 Barbara Eden got to keep the color stunt bottle used on the last day of filming the final episode of the television series. It was given to her by her make-up woman after the show was canceled while the show was on hiatus. 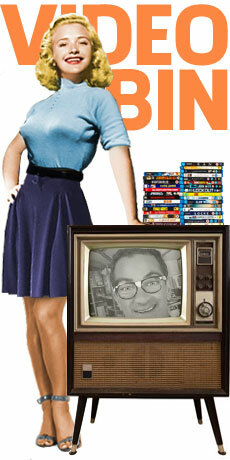 Bill Daily also owns an original bottle, and as did Larry Hagman. In the penultimate episode, "Hurricane Jeannie", Nelson dreams that Dr. Bellows discovers Jeannie's secret, and that Jeannie's bottle is broken when dropped. A broken bottle is shown on camera. This was intended to be the series' final episode and is often shown that way in syndication. A number of artists recreate The Jeannie Bottle and they are available in various online stores including dreamyjeanniebottles.com and jeanniebottles.com. 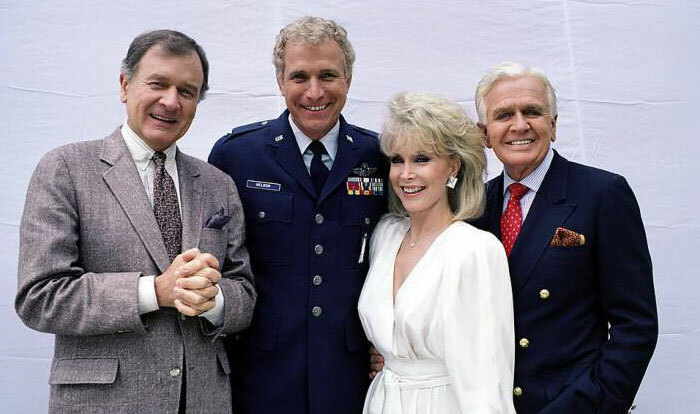 I Dream of Jeannie... Fifteen Years Later is a 1985 made-for-television reunion film based on the 19651970 series I Dream of Jeannie which premiered on NBC on October 20th, 1985 and produced by Columbia Pictures Television. 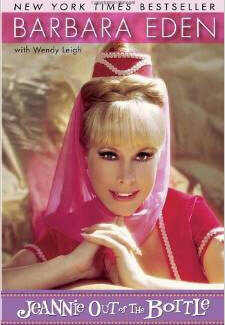 Barbara Eden reprised her world-famous role as the magical Jeannie. Also reprising their roles from the original series were Bill Daily as Tony's fellow astronaut and best friend Roger Healy, and Hayden Rorke (in his final film role) as NASA psychiatrist Dr. Alfred Bellows. The role of Tony Nelson was played by Wayne Rogers, best known for his role as Trapper John McIntyre on the 1970s series M*A*S*H. Larry Hagman refused to reprise his role as Tony Nelson reportedly because he was busy filming his CBS series Dallas at the time. The film was directed by William Asher (who was also director of the 1960s show Bewitched) and the teleplay was written by Irma Kalish. Jeannie has been a happily married housewife for 15 years to her astronaut husband Tony Nelson and has a teenage son, T.J. When Tony is promoted to Colonel and is about to retire from the NASA space program, Jeannie decides to give him a celebration party in their backyard. However, egged on by his colleagues to retire with a dramatic flair, Tony breaks his promise to Jeannie for one more space flight (aboard the shuttle), this time with a female astronaut, Captain Nelly Hunt. Jeannie's always-scheming evil sister, determined to have Tony for herself, traps Jeannie in a bottle with a special stopper, that nobody but another genie could open. Meanwhile, Tony's space flight is in trouble; the engines won't fire and the shuttle is on a collision course with a meteor. We are going to attempt to answer an age old question. A question that may not even have an answer. It's like Betty or Veronica, there is no real wrong answer, but here we go anyway... 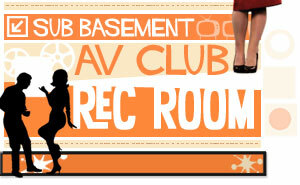 I Dream of Jeannie or Bewitched? Now, nothing against Elizabeth Montgomery (who was great) but we would have to go with Jeannie on this one and for the following reasons. Samantha was no doubt beautiful (out of our league for sure) but she (no offence) was a wife. Jeannie was a girl friend (and a live in one a that). There may have been domestic bliss at the Stephens house but there was a party going on over at Tony Nelsons. Samantha had a mother (Darrin's mother-in-law) and she was always there. I mean she was ALWAYS there. She may as well have lived there. Jeannie had a mother too, but we rarely saw her and she wasn't always tring to turn Tony into a donkey or what ever. Darrin Stephens works in an office as an advertising executive for McMann & Tate. Tony Nelson has a job too... he is an Astronaut for NASA and gets to fly fighter jets and go into space which is a tad more exciting than thinking up jingles for margarine. I Dream of Jeannie copyright © Sony Pictures Television.